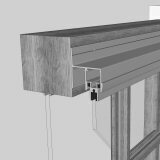 Our Vertical Sliding Secondary Glazing is ideal for providing thermal insulation and sound proofing for traditional wooden box sash windows, or any other windows that have horizontal bars. Panels slide up and down in the same way as vertical sliding sash windows and provide easy access to the existing window. When open they provide ventilation without interfering with curtains or blinds. Our Vertical Sliders are extremely versatile, slide smoothly and are available with spring balances or spring catches to hold the sliding sashes in an open position. 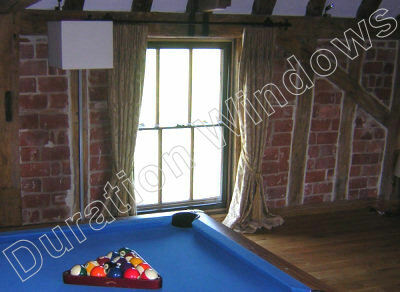 We can also provide vertical sliders with our unique tilt back facility. 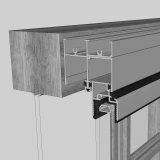 Available in our Slim-line Equal Leg & Luxury Subframe systems. Sliding panels are supported by spiral balances, which can hold panels in any open position. Tilt back facility - panels tilt into the room for ease of cleaning. Can take single glazed units up to 6.8mm. 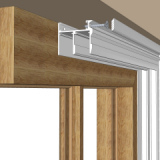 Slim, Discreet and unobtrusive frames; Jamb is 71mm and interlock is just 27mm. Ideal for use in listed buildings and conservation areas. Is more suited to domestic applications - due to health and safety considerations in the work place. Variety of glass types are available to tailor our secondary to your individual requirements; be it heat, noise or security that is your priority. 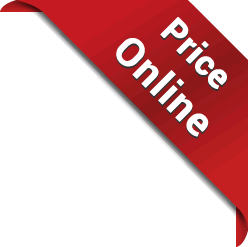 Toughened glass is currently the same price as float glass in our tilt back secondary glazing. Available in any of over 200 different RAL colours. Economy Odd Leg System - face fix. When in a closed position the sliding panels click and latch onto the outerframe for added security. Slim-line Equal Leg System - face fix or reveal fix. Slim all aluminium system with trims for a clean and attractive finish. Has a fitch catch to lock the panels closed - for added security. Luxury Subframe System - face fix or reveal fix. Has a wooden subframe and trims for a clean and attractive finish. Heavy Duty System - reveal fix. The thicker frames can take double glazed sealed units. Can achieve larger maximum widths & heights. See technical tab. 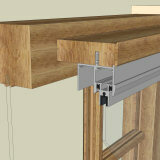 Sliding panels can be secured with a lockable fitch catch.